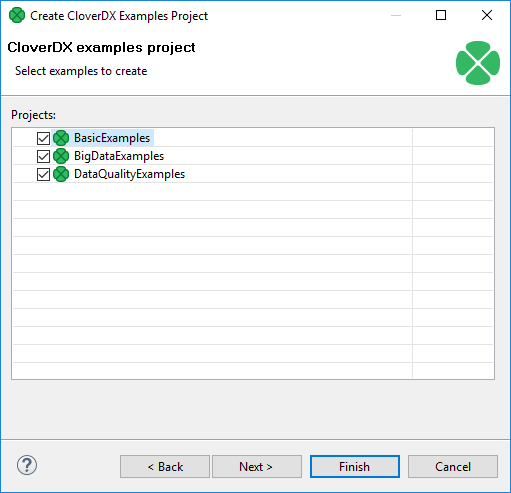 If you want to create some of the prepared example projects, select File → New → Example..., choose CloverDX Examples Project and click Next. You can select any of the CloverDX example projects by checking its checkbox. After clicking Finish, the selected local CloverDX Examples projects will be created. If you already have these projects installed, you can click Next and rename them before installing. After that, you can click Finish.